If you’ve been swept up in the recent Marie Kondo tidying obsession like many Netflix viewers, you may have found yourself in a predicament. Like most people, you turned to charity shops in order to donate your unwanted goods, however if you had visited half of the Lifeline stores across the country, you may have been turned away. Perhaps you were confronted by mountains of clothing overflowing from overstuffed donation bins, damaged by rain and now deemed contaminated and unsellable (Bedo S, 2019). Swept up in the Marie Kondo obsession? 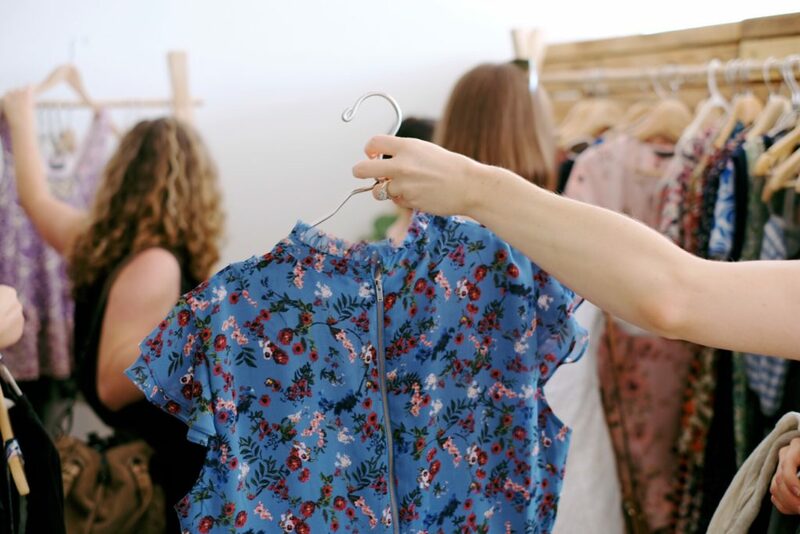 This issue is much bigger than Marie Kondo, and it only takes a moment of stepping back and looking at the bigger picture to realise that our excessive consumption of clothing is yet another result of the Fast Fashion industry. The burden of dealing with unsellable garments and goods is now being offloaded onto our Aussie charities, who are paying $13 million a year to send these donations straight to landfill (Kleyn S, 2019). There isn’t a simple, one size fits all solution to the issue of textile waste, but keeping unwanted clothing out of struggling charity stores and landfill felt like a good place for us to start. 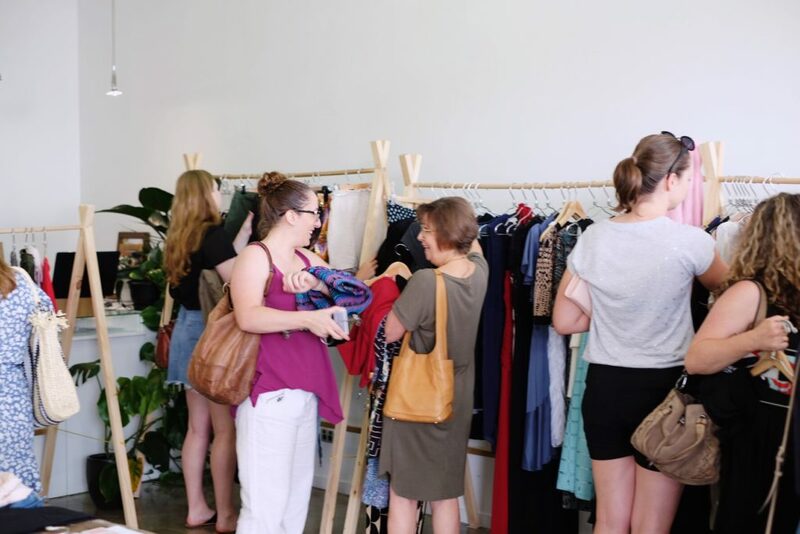 Inspired to think outside the box for a way of reusing and appreciating the clothes already in our ownership, we at Biome decided to host a Clothes Swap at our Biome Collective space in Paddington, Queensland. 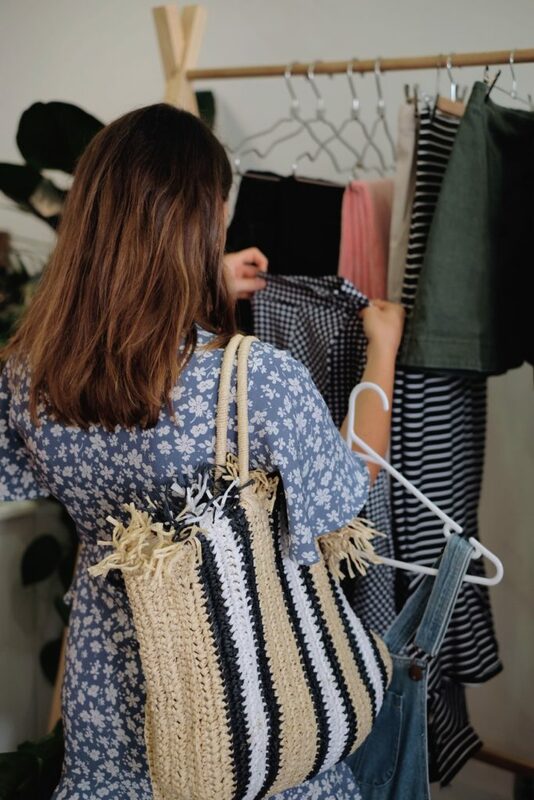 We wanted to give our customers and community an opportunity to keep their clothing ‘in the loop’, give garments an exciting second life and take some pressure off our already overwhelmed op shops. Biome Clothes Swap | Keep your unwanted clothes in the loop. Initially I had planned on reaching out to local homeless shelters or Women’s refuges, as they often take clothing donations that are then given directly to those in need. After searching around, I found what I considered to be a lesser-known shelter. Their website was simple, they seemed under the radar and relatively small. I decided to first give them a call to make sure they were in a place to accept clothing donations. When I explained the Clothing Swap and asked if they would take the clothing, I was literally met with laughter. The man on the other end of the line sounded completely exasperated. He explained to me that their organisation currently had 12 women in care, and 12 shipping containers worth of clothing donations. I suddenly felt a bit sick, as I started to grasp the enormity of our clothing consumption problem. What does this say about the fashion industry and the value of clothing when you can’t even give it away for free? So where is the best place to donate clothing? I was back to square one, and facing that same question again – where is the best place to donate clothing? After a moment of feeling defeated and overwhelmed, I had a brain wave. Some time last year, I had interviewed a lady named Lena for my personal blog, The Un-Material Girl. She was the founder of Restitch Upcycling Studio, a community-based social enterprise that addresses the issue of clothing waste by engaging in conversations and workshops that aim to raise awareness of the environmental impact of clothing and explore potential local solutions. I gave her a call to see if she could potentially use the left over garments for workshops, and she was thrilled to accept them. It felt good to know that this clothing would soon become totally new creations, and in the process, help educate so many people about the issues at hand. Biome Clothes Swap | Clothes not sparking joy anymore? Maybe they will for someone else! At the end of our sold out Clothes Swap, we discovered we had many corporate style clothes (some brand new, with tags! ), which we donated to Suited to Success, a not-for-profit community organisation that helps people over come the barriers to employment and provides work attire for interviews. As interest and education in ethical and sustainable fashion continues to grow, my hope is that we will begin to have a new sense of appreciation for our garments, and choose to invest in good quality, long lasting, ethical garments that we will adored for years to come. And when the joy has diminished, these garments can be swapped and given a new life, ready to light up the wardrobes and faces of our friends, family and community. Join in the fun at our next Clothes Swap!